PackshotCreator, the inventor of the Packshot studio and the leader of e-commerce products photography solutions in Europe announces a strategic partnership with Shapes Defined, a company based in Dubai. This partnership comes as a response to the economic transformation in the Middle East; this is the mission that PackshotCreator and its new partner will tackle. “Our strategic vision to equip our future customers does not stop at the borders of Europe, it is global.” Says Laurent Wainberg, CEO and founder of PackshotCreator. This development strategy appealed to Muna Salah and Chris Domazina. They were already aware of the reputation of PackshotCreator photo solutions for quality and efficiency. “We already knew what are the benefits of standardized technologies and the acceleration in the shooting process for e-retailers. It also emanates a professional result, whether on photographs, visuals, multi-views or the animation of products. This corresponded perfectly with the strong development of the retail industry in the Middle East. “, details Muna Salah. PackshotCreator and its partner Shapes Defined will be at the heart of this development in 2018. 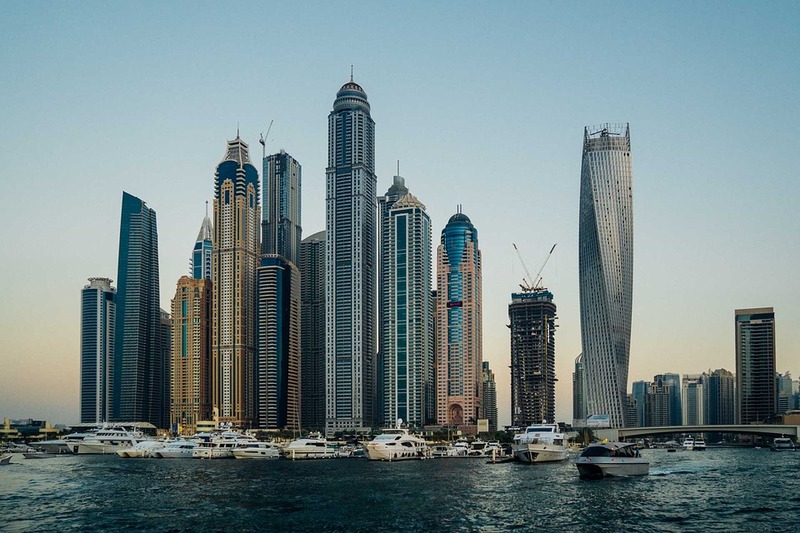 With a major expansion plan the partners will tackle all the countries in the Middle East by offering the latest product photography technological innovations from Dubai. 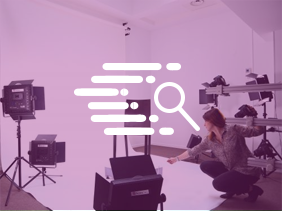 From the main city in the United Arab Emirates, the headquarters of Shapes Defined, the entire range of PackshotCreator automated photo studios will be available to meet the requirements of the major players in retail and e-commerce. “We have been offering photo studios for more than 15 years, driven by the most powerful and intuitive software on the market. There are models specifically designed for certain trades. This is, for example, the case of PackshotMacro R, developed particularly for the jewelry and horology business sectors. A brand new version will be put on the market very soon. ”, Says Laurent Wainberg. Ranges of e-commerce photo studios adapted to each specific need! The PackshotMacro R allows for photos and 360° animations of all the small and complex objects. From diamonds to microprocessors to luxury timepieces. It has a full LED lighting system with six zones of light, their intensity is independently adjustable. This technology, unique in the e-commerce products photography market, allows a total control over shadows and unwanted reflections. The new LuminaPad Mark II is for all fashion sector. 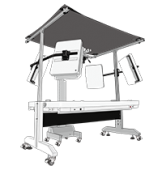 The versatility of this backlit light table makes it possible to use multiple combinations of photo set ups (vertical, with mannequins, flat-lay). Its users have the opportunity to photograph clothing and accessories. Equipped with the new LiveLight function,the rendering on textures and colors is optimal. This new feature allows control of the four light panels and the light table (100% LED) with real time display and control from any touch device. This precision is also found with the tool “measure”. It gives an image of actual dimensions of one or more parts selected on a subject. 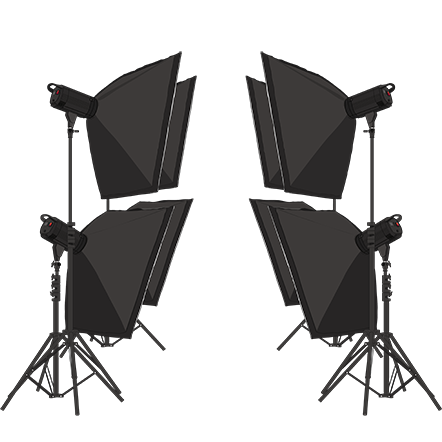 These novelties, like in the bestseller of the range, the PackshotCreator R3, have their power increased tenfold. Thanks to the evolution in quality of manufacturing materials and lighting systems, an optimum photography environment is achieved inside the light box, that the Packshot team is always quick to implement. “We wanted to meet the expectations of our customers. They wanted even more simplicity, speed and functionality. We promised, and we delivered! The 2018 version of PackshotCreator comes with completely reworked algorithms. The clipping and the multi-clipping of the product thus becomes more precise, fast and above all more intuitive. Today we can talk about intelligent cutting, “explains Laurent Wainberg. Whether in Dubai or Paris, PackshotCreator teams will be happy to present to you the latest photography product. We want you to try it. Online demonstrations are organized with our expert photographers, and feel free to book an actual one to one demonstration at our new studio of our partner Shapes Defined. Phone: +971 4 512 4107. Product photography: PackshotCreator:15 years already!